There was an inevitability to the re-emergence of the hirsute, check shirted urban wilderness man; as a species we’d survived the millennial prophecies of Armageddon but then spliced rap and metal together to make an even more horrific chimera, all the more reason to retreat to a shack in the mountains and consider how to redefine masculinity for the twenty-first century. From Seattle, Fleet Foxes were no-one’s attempt at proto-hipsterism; in 2007 the idea didn’t exist and even if it had, America’s Pacific North West was the least likeliest place for it to germinate. 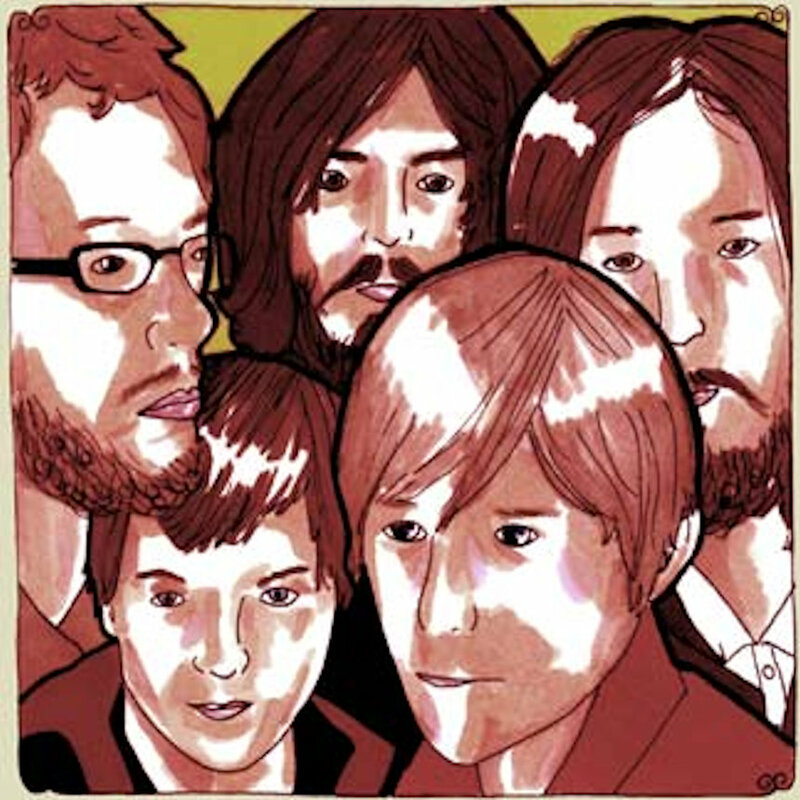 Originally the creation of Robin Pecknold and Skye Skjelset – both who as teenagers rejected their friends rock and hip-hop leanings, embracing instead the trans-Atlantic folk scene of the 1960’s – neither had any real preconceived notions of what success would mean for their debut album beyond it allowing them some limited access to touring the country’s clubs and bars. With Pecknold inspired by visiting England’s idyllic Lake District, Fleet Foxes was much more than a pasteurised facsimilie of Nick Drake or Bert Jansch, set aside by it’s cascading harmonies and Autumnal crispness, the songs delicate but never introvert. Met with cynical bite claiming derivation in some quarters, a curious sense of chastity helped disarm any prejudice about it’s roots, resistance quickly dispelled by the hayride beauty of opener Sun It Rises or Blue Ridge Mountain’s waxing tale of jealousy and denial. In the end it would surpass Pecknold’s wildest dreams of public recognition by selling more than 2 million copies worldwide, a watercolour in a world of photographs. A decade on, it remains his unanswerable masterpiece. You can read the full review here and listen to the album here.